GRANNY FLAT DISPLAY HOME NOW OPEN! 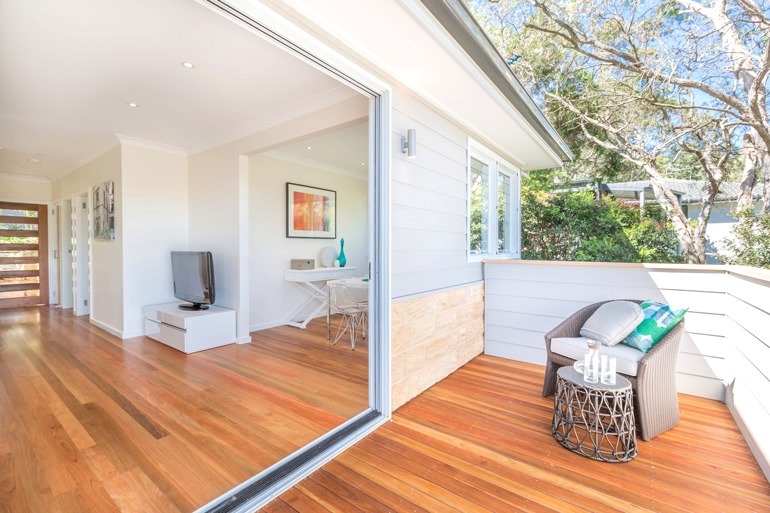 Bungalow Homes are a family run business and we are dedicated to building high quality, affordable granny flats in The Greater Sydney Region, Northern Beaches, North Shore and the Central Coast. The happiness and peace of mind of our clients means the world to us, so you can rest assured your building experience will be a great one. We were one of the first building companies to emerge in this niche market and we have been specialising in Granny Flats since 2011. With over 35 years of combined building experience in high-end residential homes, we ensure that we stay on schedule and keep you thoroughly informed throughout the building process making it a pleasure from start to finish. When considering an addition to your home, we work with you to design the ultimate solution that is tailored to your individual needs and situation. Whether that be for investment purposes or if you just want to extend on the family home, we plan your project with these considerations in mind to ensure you get a finished product that compliments the existing dwelling, meets what the market needs, and fits within your budget. We are also very passionate, knowledgeable, and active property investors and more than happy to share ideas and strategies for you to maximise your return on your biggest investment. Build with Bungalow Homes and ensure you get the Granny Flat that is perfect for you! Choose from our preset designs, or work with us to create a bespoke design to suit your unique site requirements. Bungalow Homes specialises in providing innovative and bespoke granny flat designs. Careful assessment of the existing site layout is an integral step to ensuring we produce the best design for your home. Because of this, we work closely with our clients to ensure each design is a solution to their lifestyle needs, offering expert advice along the way to ensure you get the most out of your new property development. Bungalow Homes offers a huge selection of quality materials and finishes to ensure you get the look you want. Our directors have over 35 years combined experience in high-end construction and their standards are consistently applied to each and every project produced. With our fine craftsmanship and attention to detail in both design and construction, your new granny flat will stand the test of time. Bungalow Homes understands that any type of construction can be a daunting process for the client and that costs can quickly mount up. We have forged relationships with some of Sydney's best and most trusted suppliers enabling us to provide our clients with quality materials at the lowest prices. We deliver the highest quality granny flats whilst ensuring your budget is met - with no nasty surprises along the way!